Our family began in Griffin, Georgia but has spread to all parts of the country. Every other year we gather either in Los Angeles or in Atlanta for a family reunion. In 2013, we decided to try something different and come to Maryland. So, from the shores of the Chesapeak Bay to the banks of the Potomac River, the families of Maryland welcomed you all. We saw the sights of our Nation's Capital and feasted on steamed, spiced crabs! In 2014, the families in Florida hosted our reunion in the beautiful city of Rockledge on the 'Space Coast' of Florida. We all enjoyed the soft, sandy beaches and warm waters of the southern Atlantic Ocean and chilled out to those glorious Florida sunsets! In 2016 we're headed back to Cali where the families of Southern California will once more, host the family reunion. We will bask in the California sunshine, enjoy the laid back LA style and reunite with family. It's time to get together to share good times, good food and enjoy one another! 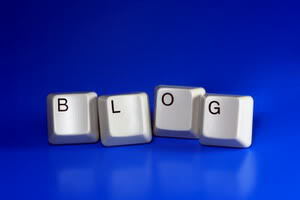 By the way, blogs are just another way to chat. Your comments are welcomed and encouraged. Come On---don't be shy. Leave us a comment or two. The families in Florida welcome all of you to the 2014 Roan Family Reunion. Come share our sunshine, powdery soft sand and the laid back Florida style. Melbourne is located on the Atlantic Ocean on what is known as the Space Coast. Come on down and see the space shuttle and check out what we have to offer. There's lots to do here and we are close to everything. We are about an hour away from Disney World and all that it has to offer. We are also not that far from the west coast cities on the Gulf of Mexico. Follow this link for more info on the fabulous Space Coast! It will be great to see everyone again. It has been a whole year since we got together and it will be great to re-connect with family once more. I'm really looking forward to coming to Florida--I am sick of temperature in the teens and twenties and am really tired of the snow. Summer can't come soon enough. I need some Florida sunshine and a nice sandy beach.